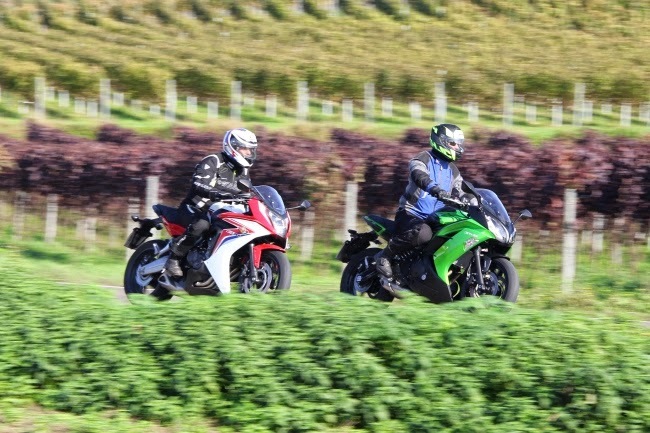 Duel Honda CBR650F vs Kawasaki ER-6F. Two Japanesse giant motor manufacture is fighting, There are running: two 650s from the Far East. 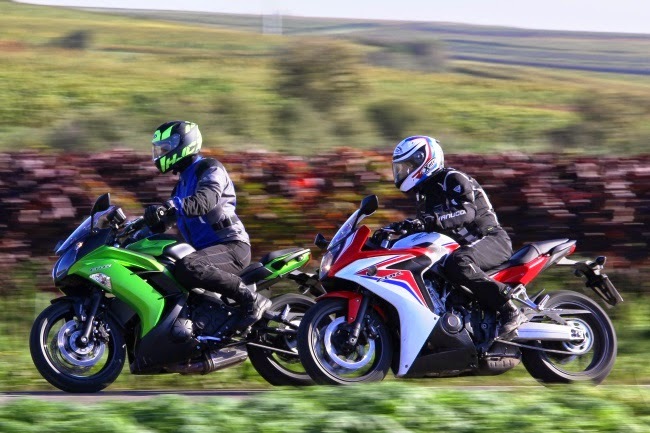 The Honda CBR650F with inline four-cylinder Kawasaki ER-6f series Twin. At first glance, may not be evident, but now both go as entry-mopeds by. Both know how to inspire and advanced - each in their own way. 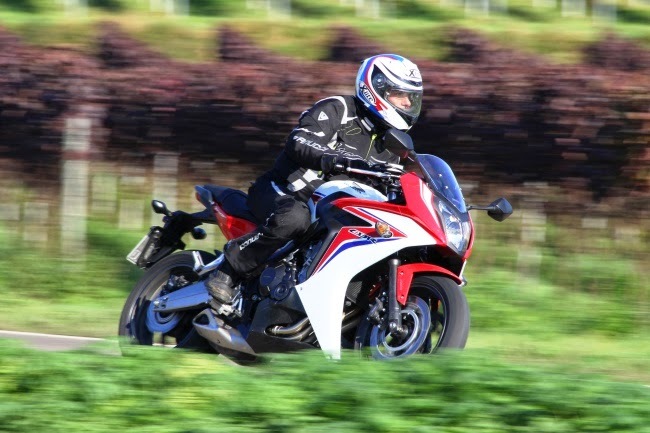 Honda CBR650F performs under the name Super athletes. In our view, the CBR them quite a bit away. Sports tourer with emphasis on sport meets the matter somewhat more. Kawasaki speaks of super athletes and sportsmen. From the perspective of the Greens ER-6f is the latter. Again, we depend generous off the label Sports Tourer. The Honda is closer to the sport than the Kawa at first glance. At the fork stub mounted and installed at the rear footpegs are purebred sociality-quencher. The seating position is, however, much more relaxed than expected. Of course you lean to the handlebars forward, the footrests are positioned slightly further back. But overall sporty and relaxed. More relaxed, it goes up to the ER-6f. The handlebar is naturally higher mounted footpegs are ahead. Just a bit more relaxed and noticeably more compact in size. In general, the CBR650F as more motorbike and a piece acts valent. The spindly, matt black handlebar Kawasaki sees cheaper than the massive crown of Honda. This is continued in the instruments. The Honda wide cockpit, the kava with a narrow central instrument. Gives himself in the function nix, the perception tends but at CBR. 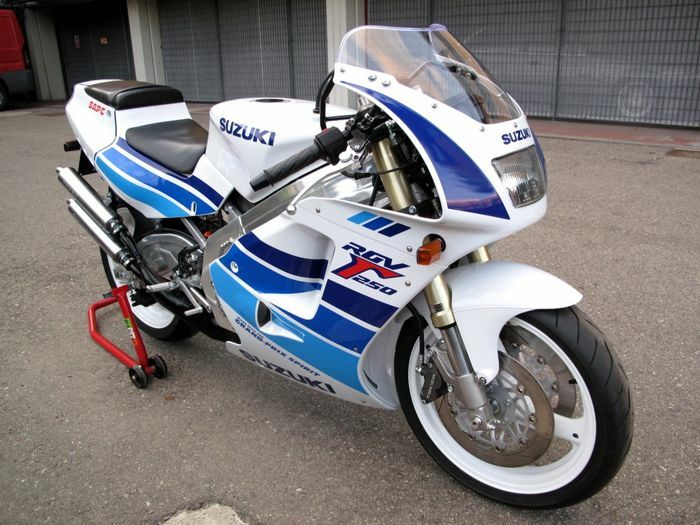 The list can be continued arbitrary: if swingarm, footpegs, manifolds and exhaust. The Kawasaki acts functional, Honda dibasic. Really amazing that both is exactly similar weight: 211 kilos fully fueled. Here one would have expected a clear predominance on the part of Honda. It has wound up in price. 8.290 Euro demands of the Honda dealer. The colleague calls for the ER-6f only 6,895 euros, almost 1,400 euros less. Where the stick we have already explained. The differences are in the drive on. The ER6-f is known to be very good standing in the chuck series Twin 649 cubic and very lively 72 horses. Honda distributed as many cubic on 4 cylinders in line. The peak power is considerably higher at 87, but the Honda and 2,500 more turns more need for it in comparison to the Kawa. Which comes from 8,500 rpm, the Honda cracks with 11,000 loose the five-figure range. And here lies the big difference: the ER6-f has noticeably more power at low speeds, occurs in everyday life considerably more agile. Honda has indeed been eliminated from the CBR650F favor more NM at low speeds at peak performance, the predecessor CBR600F had at least 19 more horses. With the ER-6 they can not keep still. Only from 5,500 rpm to sequentially four felt coals after, catching up on the Kawa shortly thereafter to pull over. Who now believes the CBR sniffs the Kawa just so on, must be disappointed tart. On narrow and winding roads strong starting count just over revving. So ultimately a stalemate. Only on a long straight line, the Honda unscrew the corridors and the ER-6 behind. However, depend not. Common to both is the rather expansive nature of the mechanism. Vibrations are here because as a topic unpleasant but at no. The switch boxes work just as well gleichweg. Enough theory, off we go to the home track. The Kawa loved the first meter. Sympathetic muttering, bustling, lively - simply gorgeous. Correct the cuddly little one. Sympathy bonus from the first meter. He makes life easy but also terrible. In heavy rush hour traffic it incredibly easy to meander through the sheet metal madness, upright posture always ensures the necessary views for the necessary foresight. And behind the sign, the ER-6f plays the card handling times from so right. Extremely handy ultra-light steering behavior it falls from a slope to the next. Quite simply and without being nervous or shaky. The starter is pleased with so much kindness, the advanced on the lookout for the next big bike for pleasure circuits to drive it. The chassis puts it away a lot, with a lively sometime the term comes to mind here. 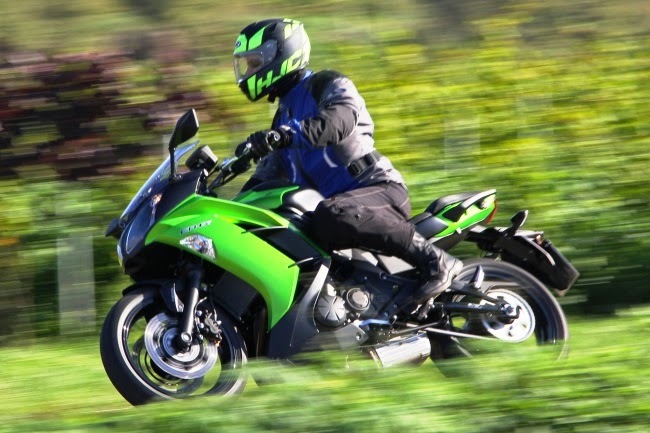 For the Kawasaki is simply too weak attenuated. In case of strong acceleration and braking maneuvers the spring work finally begins to pump. Not dangerous, but still disturbing. The Honda is by no means complicated motorbike, but the open-minded nature of the ER-6 does not. He is distant and reserved. In the city the sportier riding position calls her attribute, followed by the CBR650F somewhat stiffly Kawasaki. Sits down beyond the city limits, this continued for the time being. The Honda goes wonderfully simple, against the weasel named ER-6f he has to handle compared chance. 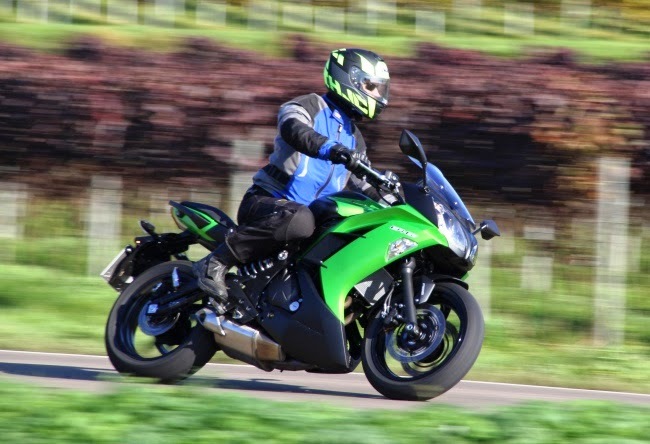 BUT: in terms of stability and precision it is a whole class about the Kawa. 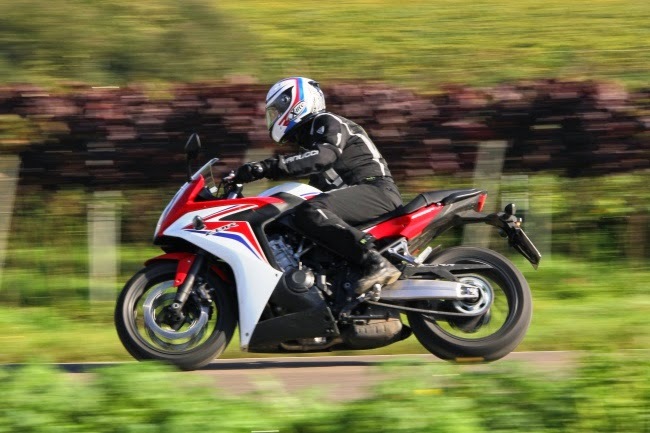 The CBR650F is very stable and firmly on the road, draws a precise and pulls the chosen line as the cord is pulled down. The flat handlebars conveys a more direct feel for the front wheel and provides better feedback. The spring elements are more subdued and provide noticeably more road contact. The comfort is not short. In conjunction with the overall relaxed sitting position everyone's got immediately with the CBR. Also, because the Honda saves a bitchy. If the selected gear too big, but he pulls slowly through without stuttering or other discomforts. Is not really the chosen line, it follows obediently the necessary correction. However, the more experienced rider just have fun with it, because there where the ER-6f waves the white flag, the CBR650F turns it up after. If you want the Honda blame something, then their total something staid appearance. Everything works great, is almost perfect. However, one misses the kumpeligen the character conveys the Kawasaki. The better motorcycle in comparison is clearly the Honda CBR650F. Is valent, is rich on the road and simply offers more motorcycle. The spaßigere mill, but the Kawasaki ER-6f. This has the better passage is handy as a folding bike and has just the more engaging character. For this purpose, it is even cheaper. If we draw a comparison to tin cans times World: Golf Cabrio is useful, a beetle convertible is cool. Fun doing both eventually.